Central Coast Region is part of Scouts Australia, Queensland Branch. 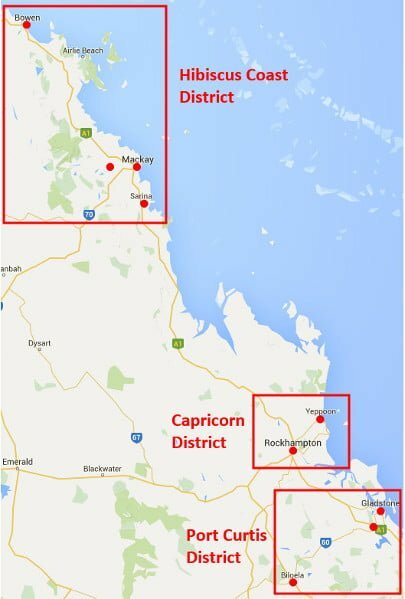 Central Coast Region currently has a total of 14 Scout Groups and extends from Bowen in the north to Miriam Vale, approximately 70km south of Gladstone. Scouts Queensland engages and inspires young Australians to develop confidence, resilience and leadership. Scouting is the biggest and most successful youth organisation in Australia. Approximately 15,000 boys, girls and adults in Queensland from various cultural or religious backgrounds and with varying abilities, participate in all aspects of Scouting. Scouts are in every part of our community. The Scout Movement is comprised of sections developed around the age of the young people. Did you know that we have fantastic campsites open to the public? It’s great to find activities where the whole family can get involved. Children and young people have the right to be emotionally and physically safe at all times. This document details the policy and procedures of Scouts Queensland, which are designed to ensure, that as far as is possible, our volunteers, leaders, and members may enjoy the Scout program in the safest and most secure environment.